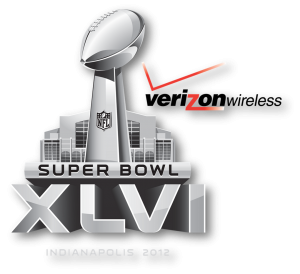 The NFL announced that NBC will stream the 2012 Super Bowl live, for free, to the web and Verizon smartphones. This is nothing new for the network, either. It already streams its “Sunday Night Football” telecasts online and to Verizon phones. NBC expects a hearty response for the Feb. 5 showdown in Indianapolis. NBC will also stream its other postseason games, including the Pro Bowl and wild card Saturday–all will be streamed online and to mobile phones for the very first time. All will be available through Verizon’s NFL Mobile application. And, according to the network, the package will include additional camera angles, in-game highlights and live stats. Officially Unstoppable! Welcome to the 2011 NFL Season with NFL Mobile only from Verizon.NFL Mobile is your exclusive mobile source for NFL news, highlights, Live Sunday Night Football, Monday Night Football & Thursday Night Football games, NFL Network, NFL RedZone, Live Audio, and more on your mobile handset. Data charges apply when downloading and using NFL Mobile.Now available on Android handsets and tablets! – View the latest news and videos, scheduled games, breaking news and NFL tweets. Note: Live Video, in-game highlights and SMS alerts available on handsets only.